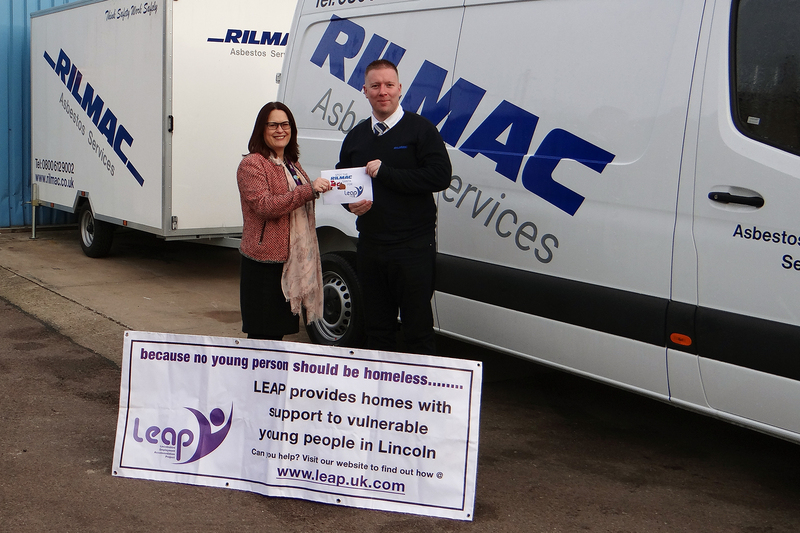 Eagle eyed customers, suppliers and members of the public helped Rilmac raise £250 for the Lincoln based young persons’ homelessness and employment charity LEAP. During the run in to Christmas last year one Rilmac van was singled out to be ‘Santa’s Van’ and was emblazoned with a Santa graphic. 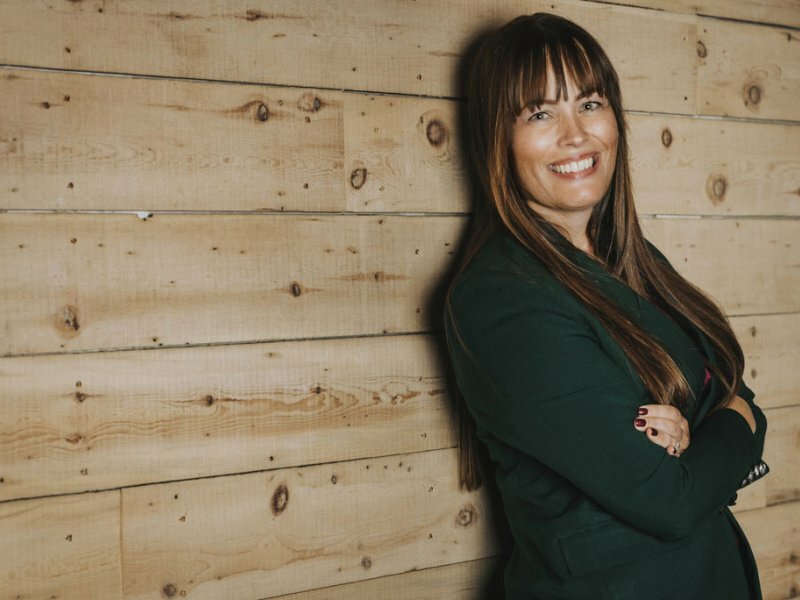 Customers, suppliers and the public were encouraged to keep an eye out for Santa’s Van, and when they spotted him, to let Rilmac know via social media. Every spot was another donation towards the important work of LEAP. 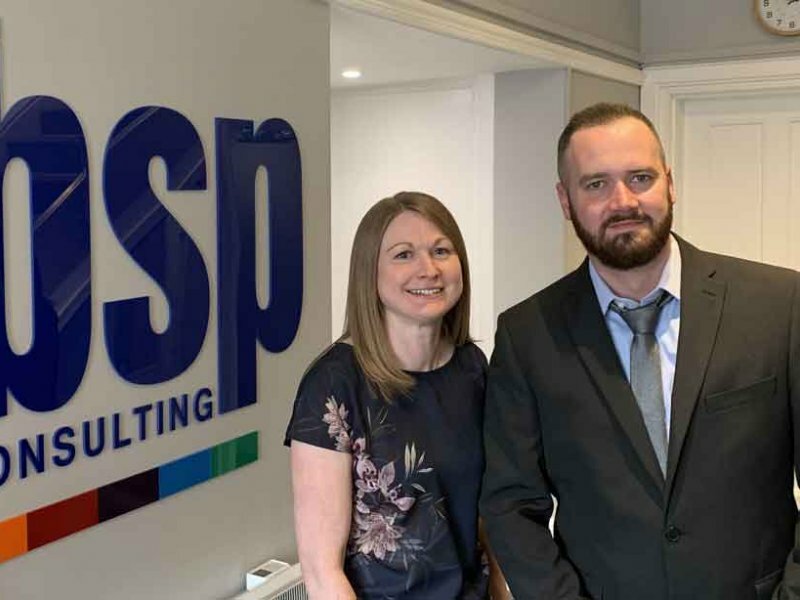 Heidi Walton, Chief Executive of LEAP recently visited Rilmac’s headquarters on Crofton Drive to receive the donation and discuss the challenge with Rilmac Asbestos Services Operations Director Ryan Hubbard. The ‘Spot The Rilmac Santa’ campaign was one of three Christmas initiatives from the construction and fabrication subcontractors, the others being the Save The Children Christmas Jumper Day, and the loan of a 7.5T lorry for the North Lincolnshire Firefighters Santa Charity Collection.